I had a patient come in my office recently who primary complaint was low back pain, but he was obviously having a headache at the time. I recommended that we adjust the neck area to address this problem. He said to me, “Oh, I did not know that chiropractic could help headaches. 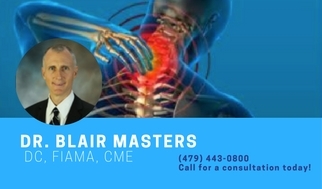 Many times, in my office, I assume people know things about their health, when I should not make that assumption because when I did, I neglected to educate this patient how Chiropractic can help all parts of his body. The reason Chiropractic helps so many things is because nerves go to all parts of the body and then also communicate backwards in the same direction from the cells and tissues and organs of the body back up through the spinal cord to the brain. This is how the body maintains itself and ensures that it is healthy. When the vertebra of your spine get out of alignment, this can cause an effect or a pinch on the nerves that pass through the holes between the bone above and the bone below in your spine. When this happens, it alters the signal that you are getting from the nerve and can result in ill health. It is because of this, that Chiropractic can help almost any health condition that a person has. In the time with my patient that had a headache, we treated him in his neck area, particularly the upper part near the skull, and he was feeling better before his visit ended. If you know someone who has a health problem that has not been responding to the conventional treatment that they’ve received, consider referring them to our office for a Chiropractic evaluation. We believe we can help!